Lowrance TOPO Insight Pro East v14. For use in HDS GEN2 Touch, HDS GEN2, Mark HDI, Elite HDI, Mark And Elite units. Topographical maps are used with all-terrain vehicles, snowmobiles, etc., for off-road navigation. They feature 30ft topographic contours based on 1:24k source data and enhanced navigation with preloaded trails, street networks, and points of interest. Each digital map is stored on a micro SD card, with SD card adapter, and features available memory space to record, save and transfer data - such as waypoints, routes and trails. You can also seamlessly create waypoints, routes and points of interest (POI) with Insight Planner - the ultimate PC software for inland-lake navigation (not included). 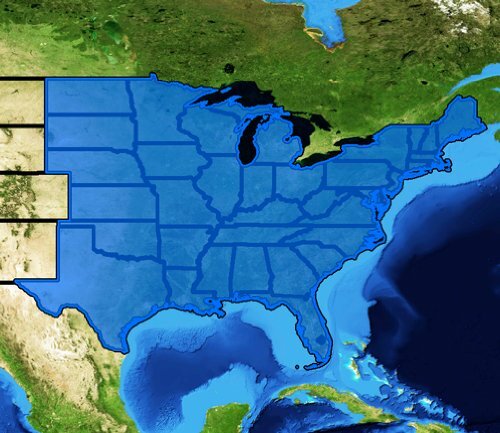 Coverage area: All states east of the Rocky Mountains, including TX, OK, KS, NE, ND, SD.